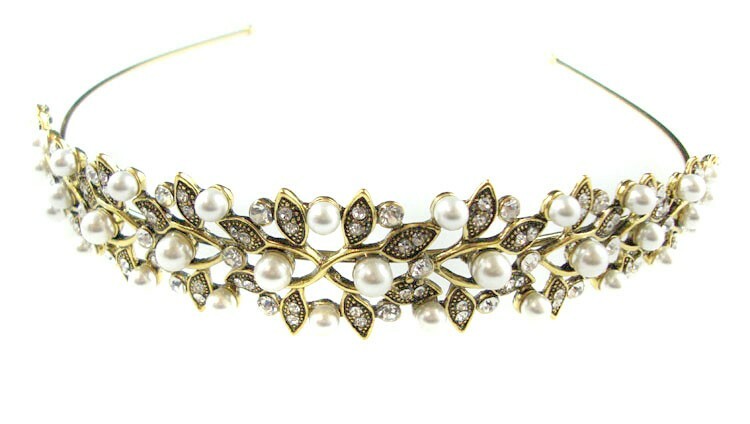 With an ethereal feel this gold leaf headband has us thinking of walks in the forest and fairytale love stories! We adore the mix of antique toned gold and pretty popping pearls making this vintage gold hairband perfect for dressing up your do for any special occasion. 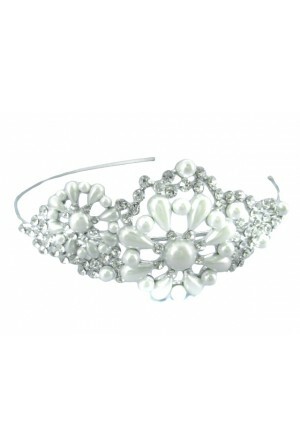 We can picture this as a barefooted bridesmaid's hairband at a beatnik wedding or used to add a touch of wonderland to your festive get up. 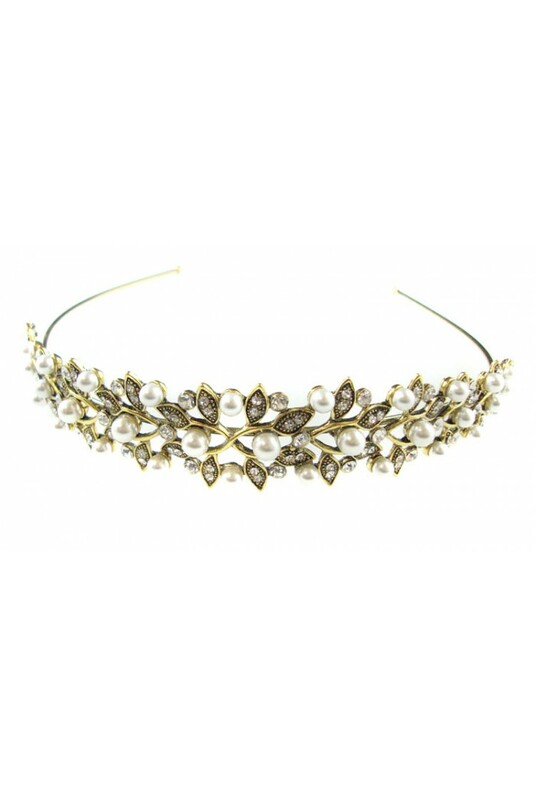 However you choose to wear this boho headband, we reckon you will be channelling Joni Mitchell in no time. 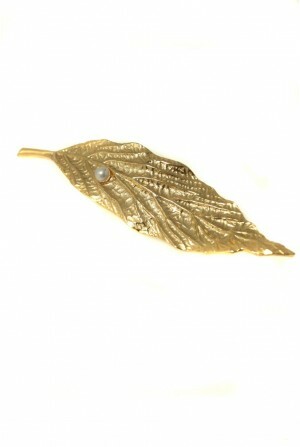 This is a wide brass toned headband featuring small cut out leaves and small ivory pearl decoration.